Interested in the history of Mexican Music? Want to know where the major influences & instruments in Mexican music come from? Our guide to the music of Mexico gives you the facts & information you want to know. The culture of a country can be judged by asking three pertinent questions, i.e. what do they eat? What do they wear? And last but certainly not the least, how do they celebrate? However, in the case of Mexico, one thing can be added and that is, what do they listen to? Undoubtedly, music is something that can give a good impression of the cultures and traditions of a specific region. Mexican music is also one of the important aspects of the culture in Mexico. 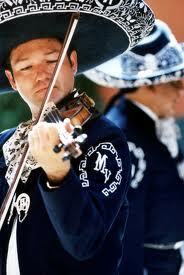 There are different styles of Mexican music and all of them are steeped in culture and traditions. Mexico certainly is a rich country pertaining to its resources of different styles of music which were introduced at different points in its history. The history of these music styles is certainly worth exploring. The history and origin of a few of the styles is given herein as it certainly is impossible to account for all of the styles in only a few words. Latin America has a major influence on this style of Mexican music when the world first became aware of this music genre in 18th century. Since its first introduction, it has transformed and further gave rise to as many as nine music styles, Mariachi is one of them. This is the music genre of Mexico that needs no introduction as it is something that is in the very root of every Mexican’s heart. After the Mexican Revolution in 1910, it was declared to be Mexico’s national music. In the beginning of the 20th century, it evolved in Jalisco to be played in weddings. In Mariachi, a traditional dress is often used which has a historical association with General Porfirio Díaz who ordered the band to wear charro suits in 1907, for the US secretary. Today, the present form of Mariachi is an evolved form as trumpets were used in 1930 which were utilized in place of cornets which were added in the 1920s. After all those initial developments and transformations, Mariachi gained real popularity and was truly at its zenith in 1950s. Although it has been a little neglected in recent times, traditional Mexican functions cannot be complete without a touch of Mariachi. After the introduction of Mariachi, it then further produced some of the styles like Ranchera which really gained momentum and was really popular in Latin America. Ranchera was the style of music that Norteño bands used to play. Norteño is one of those genres of music which have a large fan following in Mexico and USA, alike. Norteño evolved with an intermingling of Mexican son, Czech and Bohemian rhythms. During the 19th century, Czech and Bohemian people brought some new music styles with some added musical instruments like the accordion. The newly introduced music style of those migrants amalgamated with the existing Norteño and started to be played by local bands. That was the start of the evolution and transformation of Norteño the impacts of which can still be seen as the accordion has now become one of the most integral parts of this music genre.